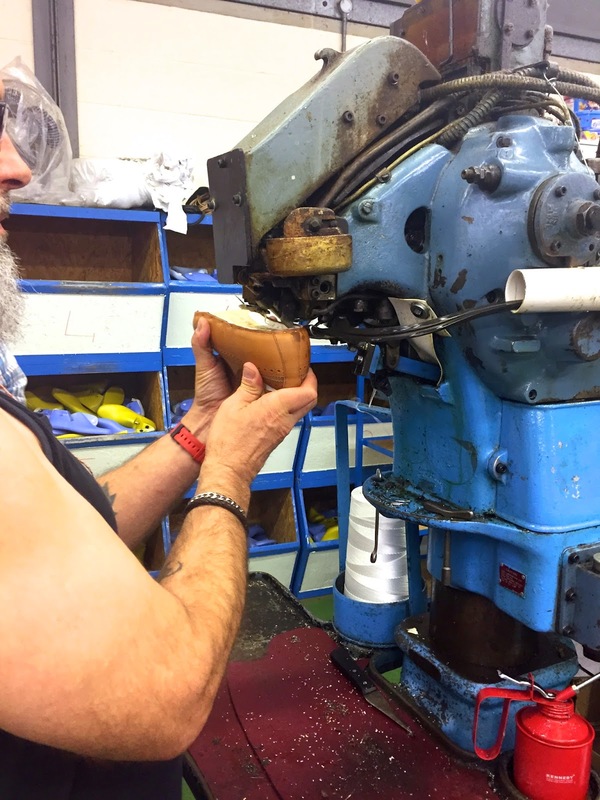 Last week I was fortunate enough to be able to visit the Dr. Martens factory in Wellingborough. 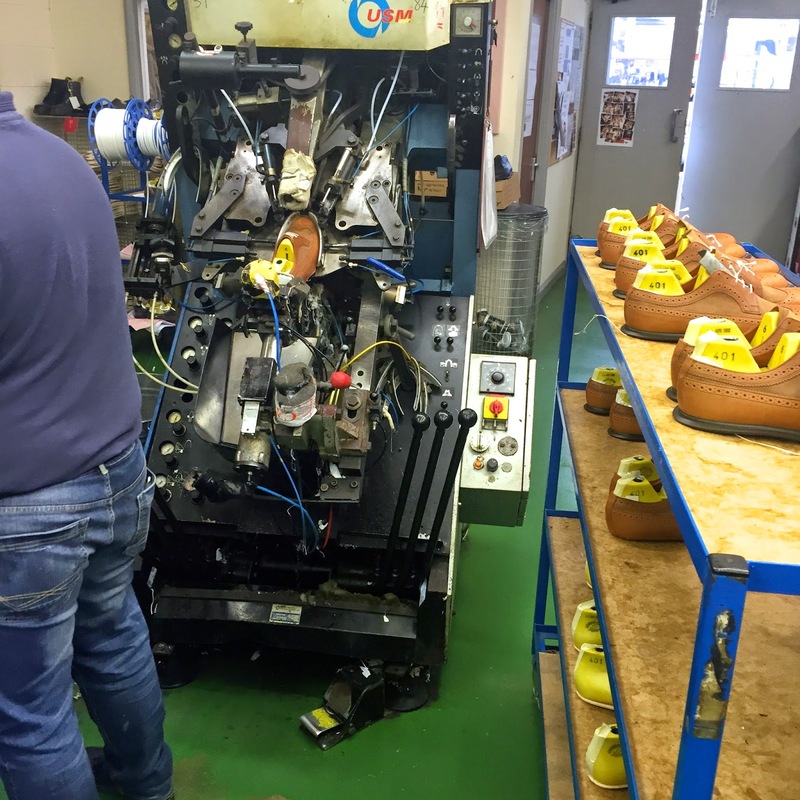 I work for the PR agency which look after their industrial footwear and as we were attending a client meeting to get to know the new products a little better, it was a great opportunity to get shown around the factory and see how each of the boots are made! From the very start the tour was really informative, we learnt all about where the leather comes from and the specific cutting process in which it goes through to eliminate or hide certain areas to get the best parts out of every little bit of the leather and so the waste is minimal. 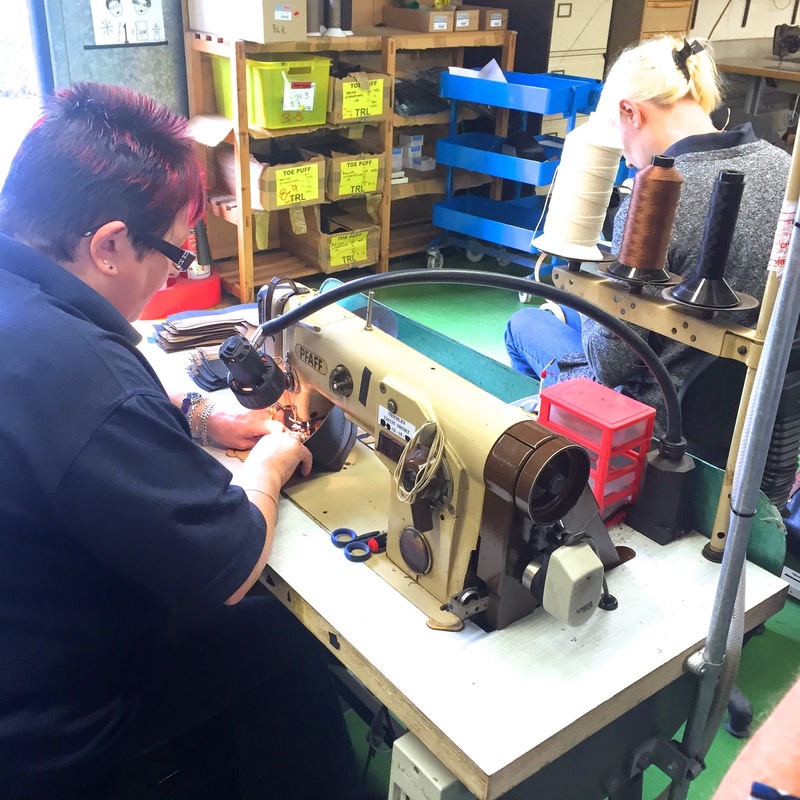 It was absolutely amazing to see how much handy work goes into each individual shoe. Each boot or shoe are all quite different in their own way, but they all had the Dr. Martens trade mark elements fixed through them, like the looped tag and the yellow stitching. It became extremely clear as to why the Dr. Martens boots have such a long wearer life, due to the process in which the sole is melted, stitched and merged with the boot to create an inseparable bond. 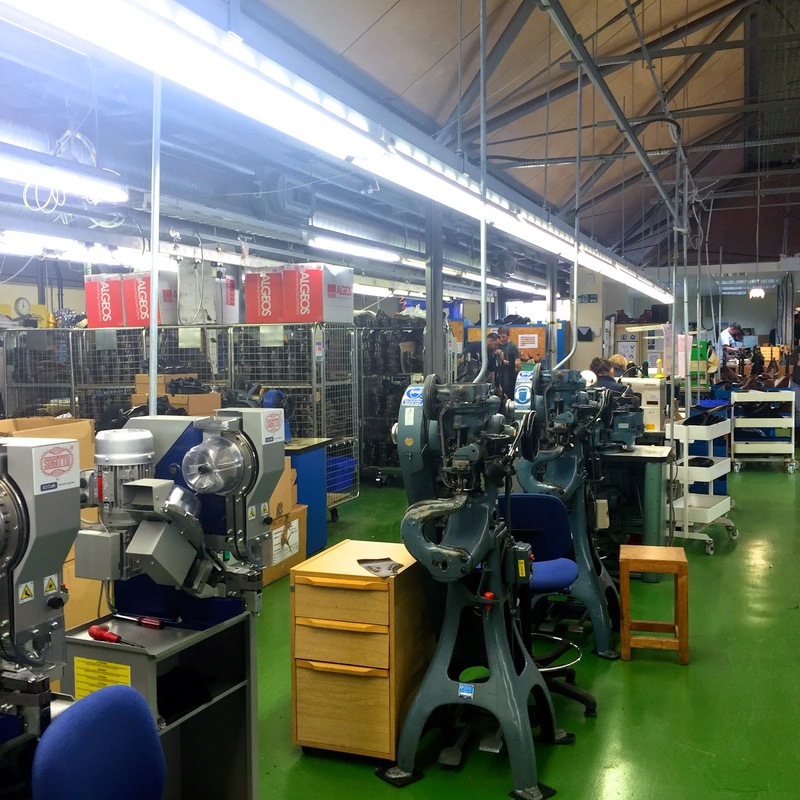 Seeing the factory and the whole process just made me feel the urge to go and buy myself a pair of trademark Docs, because of how much time and effort goes into each shoe, it really made me see that you are getting what you pay for. We could also argue, that a pair are most definitely worth investing in, because even after almost 60 years since they were established, Dr. Martens have always stood the test of time even with the UK's ever-changing fashion. Not only this, everyone who worked at the factory from the apprentices to those who had been there for years, just really seemed to love what they were doing there and it was hard to ignore the huge creative buzz that flew around the factory. 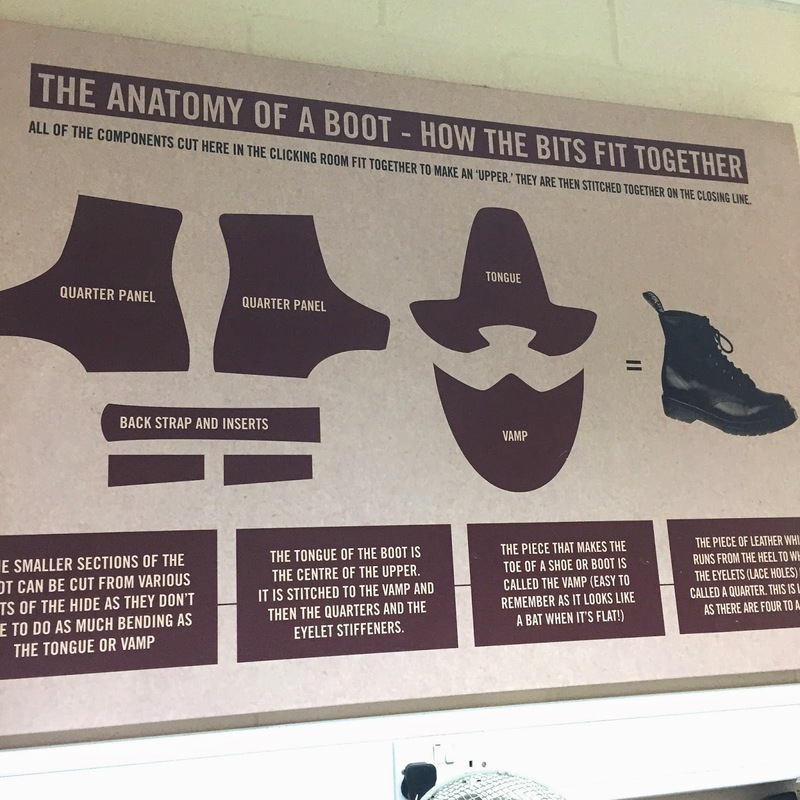 I will definitely be buying myself a pair next time I visit the store, perhaps not the boots due to my little legs, but definitely a pair of their brogue styled ones, they're right up my street. Good work must be appreciated. Well, they’ve also covered some more tips around Dr. Martens boots in their site!